Dr. Vitale graduated from New York University School of Medicine with a bachelor of arts degree in psychology and received her medical degree from St. George’s University. She continued her postgraduate internship and residency training in pediatrics at Westchester Medical Center. She is board certified by the American Board of Pediatrics and is a Fellow, American Academy of Pediatrics. 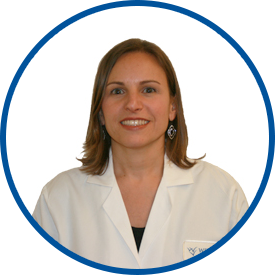 She joined Throgs Neck Pediatrics in the Bronx in 2001, which became part of Westmed Medical Group in June 2011. Dr. Vitale is affiliated with Montefiore Medical Center. would recommend this provider at any time to anyone. very professional and friendly. my daughter loves dr. Vitale. Dr Vitale is always concerned and helps in every way. truly love her ! !